Experienced guides will show you the beautiful city of Quebec by giving new life to the first inhabitants of French America. They will special give you the impression that you have traveled back in time. Each guide embodies a Fille du Roy or the husband of a Fille du Roy who really lived in New France in the 17th century and will teach you about the daily life of the people of the time. A pleasant walk in historic places. But above all ... you will know everything about the Fille du Roy ! Who were the King’s Daughters? 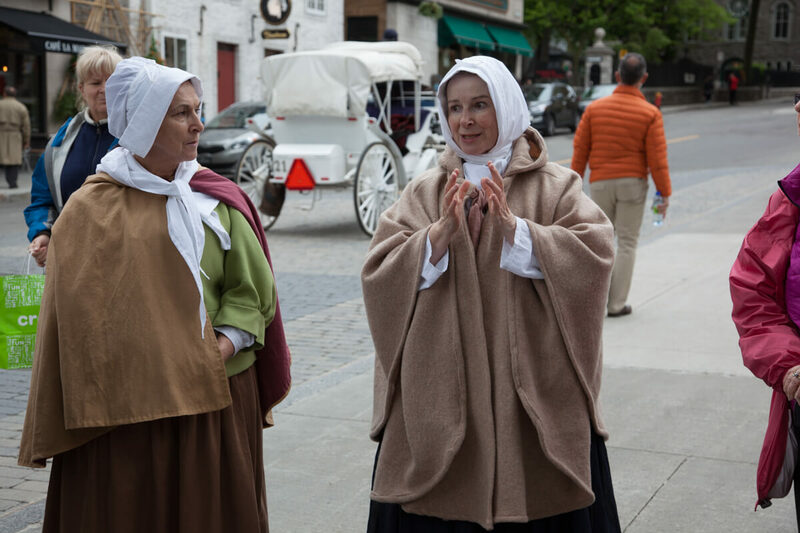 Meeting the King's Daughters (À la Rencontre des Filles du Roy) wants to introduce you to these nearly 800 women who came to New France between 1663 and 1673 to populate the nascent colony. At the time, they were called "Girls of Marriage". Thanks to these women, the colony of New France was able to survive and develop. Upon their arrival, the population was around 2,500 inhabitants. Of these, there were only 250 women. In Quebec, there was 1 woman for 6 or 7 men, and, in some places, up to 1 woman for 10 to 12 men. With the massive arrival of the Filles du Roy, in twenty years the population tripled. It can be said that these women, the Filles du Roy, are the ancestors of nearly 80% of the Quebec nation. Your journey back in time will be made all the easier by the surroundings of this historic city, known to the native people as Kebec! Experience the seventeenth century! A Fille du Roy or the husband of one of them will show you Quebec as she saw it when she arrived between 1663 and 1673. Learn more about the living conditions of our ancestors and add a gourmet experience to your trip into the past with a meal in a place full of history! Return to the 17th century! 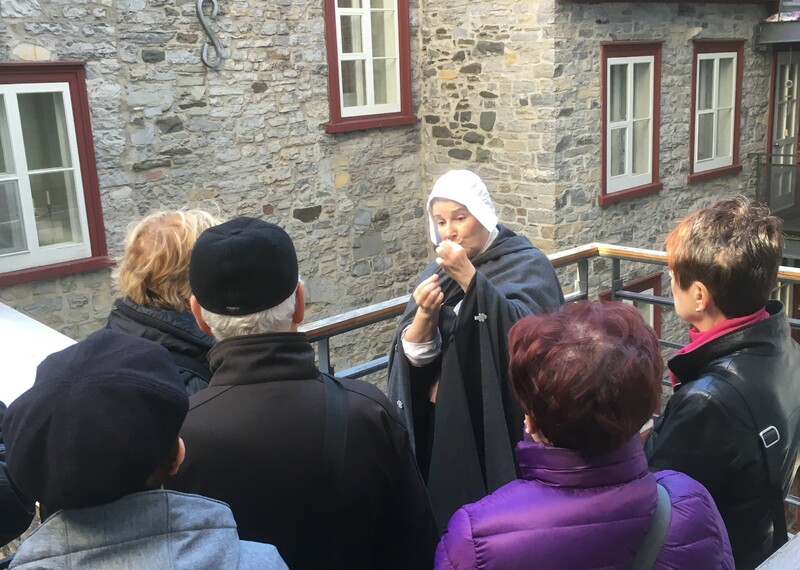 An authentic Fille du Roy or the husband of one of them will show you Québec as she saw it when she arrived between 1663 and 1673. 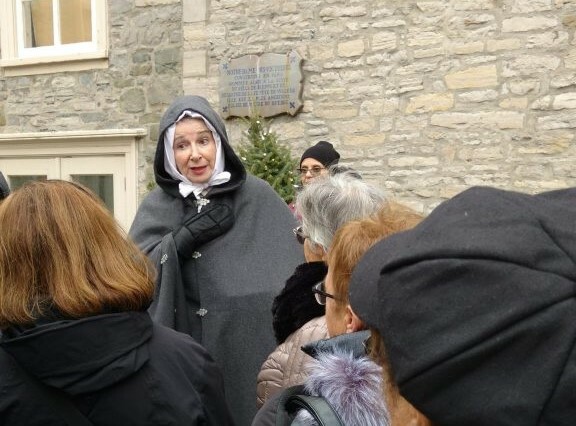 Learn more about the living conditions of our ancestors and the critical role these women played in the survival of New France and the fact that Québec still exists today. Return to the 17th century ! An authentic Fille du Roy or the husband of one of them will show you Québec as she saw it when she arrived between 1663 and 1676. Visit Québec differently ! Start your tour at l'Ilôt des Palais, the place where the Intendant Palace was in the 17e century.